When someone has been in a rear end auto accident as the result of reckless or negligent driving, it can be difficult for them to know the best action to take to ensure that they are fairly compensated. Many are quick to accept whatever settlement is offered to them by the involved insurance company. However, this is not usually in the best interest of the accident victim. 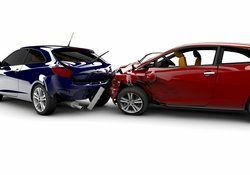 Rear end auto accidents can result in significant property damage and personal injury, both of which can result in serious financial ramifications. Until any injury treatment is complete and all damages have been properly assessed, it is not possible to determine a fair and proper settlement. At Joe Horrox Law, our Deltona auto accident attorneys are experienced in rear end collisions, and we work hard to ensure that all appropriate information is gathered so that we can fight for a maximum settlement for our clients. Other factors that may play a role in the cause of rear end accidents include poor weather, unsafe road conditions, or a vehicle defect (particularly faulty brakes). If another driver is at fault for a rear end accident, their insurance company is likely to offer a quick settlement. However, injuries from rear end accidents may take several days to take effect and it can take even longer to determine the full extent of the injury, which is why we recommend that our clients do not rush to accept an offered settlement, but instead consult an experienced attorney such as those at Joe Horrox Law. Our attorneys will methodically build a case that will help to ensure that our clients receive maximum financial compensation for damages suffered. If you have been involved in a rear end accident and have questions about your legal rights, schedule a consultation with attorney Joe Horrox at your earliest convenience. Joe Horrox is happy to answer any questions you may have and guide you through your legal options for collecting just compensation for damages suffered. We look forward to hearing from you.